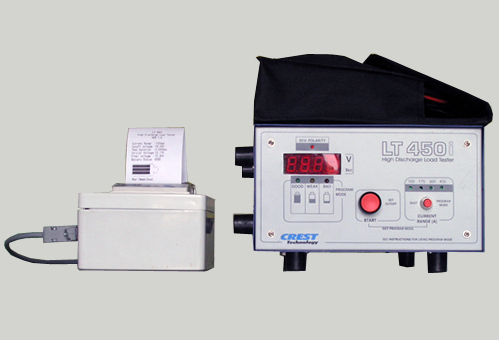 Battery Load Tester – Crest Test Systems Pvt. Ltd. 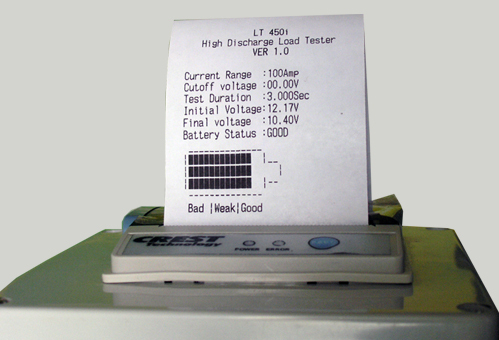 The Battery Load Tester is useful for assessing the condition of batteries used in automotive, traction, and other transient duty applications. The Battery Load Tester model allow testing of the full range of automotive batteries right from motorcycle batteries to those used in large sedans and trucks, fork lifts, electric vehicles, etc. A simple and robust high rate discharge coils enables the operator to quickly know whether a battery is good or weak.